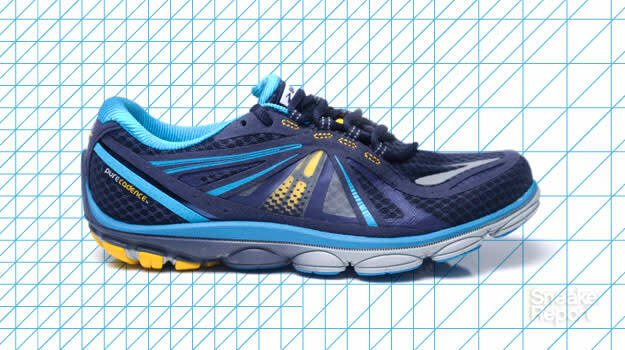 Last year, the Brooks PureCadence 2 was one of the brand&apos;s biggest hits. Loaded with sturdy support and plenty of breathability throughout its construction, the PureCadence 2 catered to overpronators with its high arch. That model weighed in at 9.3 oz, which is remarkably light for any running sneaker. However, with the introduction of the PureCadence 3, Brooks has found a way to make the popular model even lighter while keeping much of its original tech and design intact. At 8.6 oz, the PureCadence 3 strips down even more unnecessary weight without sacrificing a single ounce of support. The protected Rounded Heel construction engages as soon as the foot hits the ground, keeping runners safe and comfortable. From there, the brand&apos;s ever-reliable Nav Band tech has been tweaked to be wider and more integrated, which results in a smoother, more efficient midfoot transition. As always with models in the Brooks Pure Project line, the PureCadence has been designed with incredibly lightweight materials and a minimal construction, allowing runners to get the most out of the shoes. However, due to their slimmed-down design, Pure Project models are estimated to last approximately 250-300 miles. This is plenty of lifespan for casual runners or those with ample rotations, but you may want to consider also keeping another pair as a backup if you choose the Brooks PureCadence 3. 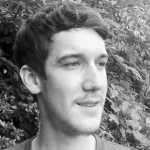 Riley Jones is a freelance writer from Charlottesville, VA and contributor to Sneaker Report. With an unshakable affinity for basketball and pop culture, he can be found on Twitter @rchrstphr.